When trying to get rid of a timeshare, many options come out to the surface; one of these options is timeshare donation. The big question is: is doing a timeshare donation a viable option? The reason why people consider this choice is because of the possibility to receive a tax deduction. What people should know first is that you don’t get a tax deduction immediately, before that, the donation company has to sell the timeshare first for a profit, like it is mentioned on the article Timeshare Donation To Charity - How To Proceed? The truth is that foundations and organizations rather not take a timeshare as a donation, since they will have pay all the annual fees timeshares come with, and it ends up being more a wasteful expense than something beneficial. In the following we’ll describe how to detect timeshare donation scams. a) Upfront Fee: Timeshare donation should not cost an upfront fee! This is also mentioned on the article Timeshare cancellation or donation should not cost you upfront! Asking for an upfront fee is a very frequent tactic used by scammers of the timeshare industry to get people’s money. Timeshare donation scams are not the exception. b) Consignment Fee: Several companies charge a fee to release you from your timeshare. The truth is that they’re trying to sell the timeshare on a consignment basis, which means that if they don’t find a buyer soon enough to make a profit, they won’t refund to fee you paid and they will return you your timeshare, with all the responsibilities. c) Tax deduction scams: In order to attract victims, timeshare donation companies claim that you can deduct more money from your income tax return for a timeshare donation than you actually can. To be honest, the tax deduction you get is only applicable to the timeshare resale value (in case the timeshare is sold), and most timeshares real resale value is not over $500.00 USD, like it is said on the article Timeshare Charity Donation. d) Lead Generators: Beware what you are submitting to. There are timeshare companies that pay an average of $25.00 USD per lead that is generated when someone submits information on a lead generation portal, but most of these websites land pages for lead generation brokers. e) Look-A-Likes: You need to be careful on this one. There are timeshare donation companies that stole articles from other companies and use their original content in order to make their website look serious and reliable. 1. Never – ever pay upfront fees: That is a gold rule. There are people who have been scammed more than once with the same trick. By now we should know that paying an upfront fee is not an option. 2. Make a research on the company: Do not be so credulous. Always look for some reviews of the company and ask as many questions as possible. The Better Business Bureau it’s a great site to provide you information. 3. Consult with an expert: If you want to get rid of your timeshare, consult with an expert on timeshare matters what options you have and which one is the best for you. We’ve mentioned this before on the article Donate Timeshare Scam. Timeshare donation is not really a solution and you’ll be exposed to be a victim of one of the many timeshare donation scams. Canceling a timeshare is the most viable option to get rid of your property. In Mexican Timeshare Solutions we provide you a free consultation on your timeshare matter, and we don’t ask for any upfront fees until your problem is solved. Contact MTS for a free advice and relief yourself from future payments and debts. Leave your comment below and share your opinion with us. 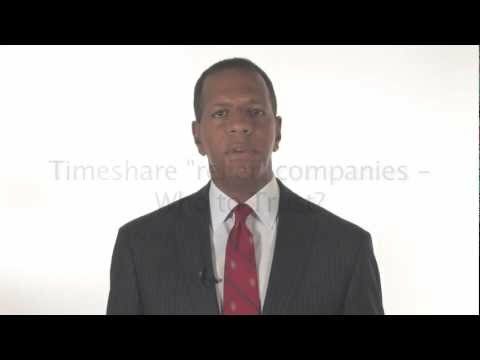 To know more about timeshare scams visit How much is my timeshare worth? Hace unos meses nosotros intentamos donarlo , ya que nos dijeron que podria ser un buena opcion , la verdad es que nos dijeron que seria gratis y dspues que teniamos que pagar una"cuota" por el tramite, lo cual pagamos y salio peor, no podemos cancelar nuestra membresia , necesitamos que alguien nos ayude , ya no podemos seguir pagando ! Ive tried many times to do that but is kinda imposible ! nobody wants a timeshare, so please help me what can i do if i cannot donate , either cancel it , i cant afford anymore the debt , and the worst of all os that is affecting my credit score..
Nosotros actualmente estamos vueltos locos, queremos desacernos a como de lugar de nuestro tiempo compartido pero nos esta resultando imposible , lo peor de todo es que el tiempo pasa y seguimos pagando la membresia , hemos intentado donarlo pero nadie quiere uno , necesitamos ayuda urgente . Tineshares are generally poor investments but can be useful forma vacations if you play the game properly. Timeshares rarely make sense purely from a financial standpoint mainly because you can rent timeshares at the same resorts for about what they cost to own without any of the risks. Some people like timeshares because they live busy lives and the timeshare forces them to take a vacation — this is a quality of life decision over a financial one — nothing wrong with that if they know exactly what they are getting into and why they are. I don't think that timeshare donation is the real solution. Most of people don't want them, and so you still have obligations. Cancen a timeshare is the best way or the best solution to get rid of your financial obligations with the resort. What are the steps involved in donating a timeshare to charity? no se dejen llevar por como suene "donacion", porque eso nos hace pensar que es algo "gratuito"